If you are unsure of the correct filter, please call (800) 515-0324. 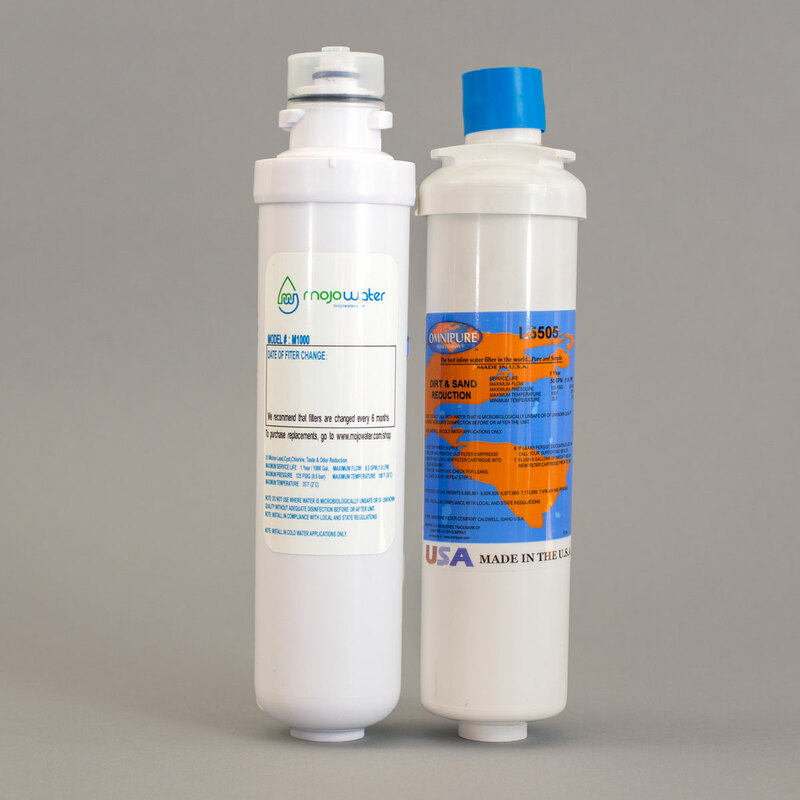 The M1000 and L5505 Twist-Off water filters are incredibly user-friendly. To replace the filter, just detach the filter body from the permanent head with a twist of the wrist. The new filter cartridge is just as easily replaced by threading it into the head. Our filters undergo rigorous testing and independent verification for performance. Each filter is rated at .5 gpm with a maximum pressure of 125 psi and. Class 1 filtration media. All filters should be installed on cold water lines only. NOTE: Activated carbon filters are not intended to be used where the water is microbiologically unsafe or with water of unknown quality without adequate disinfection.